1.3 million kids drop out of high school per year, costing our nation more than $100 billion annually in lost wages and taxes, plus the increased social costs due to crime and healthcare. Experts estimate that American businesses are in need of 97 million middle- and high-skill workers, yet only 45 million Americans possess the necessary education and skills to qualify for these positions. The majority of job openings in the next decade will require at least some postsecondary education. American Graduate: Let’s Make It Happen is a public media initiative, supported by the Corporation for Public Broadcasting (CPB), to help students stay on the path to graduation and future success. Public broadcasting has a long history improving educational outcomes for high-need students and communities. The dropout crisis demands attention now, and we are rising to the challenge of doing our part to address this problem. 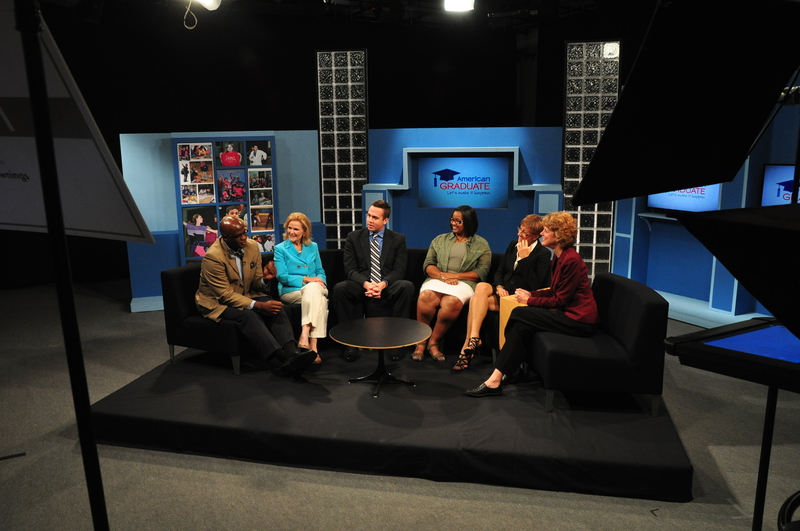 We are working with national and community-based partners to do two things—raise awareness by creating targeted, national and local content on all facets of the issue for broadcast, and engage and empower students at risk of dropping out through community collaborations and classroom resources. The initiative puts faces on the numbers — the more than 1.3 million young people who fail to graduate each year — and generates understanding about the risk factors and what caring adults can do to help. Success can't be achieved by any one group alone but public media can leverage its capacity, on-air, online, and on-the-ground, to increase understanding and dialogue around the issues facing today’s students that cause them to drop out and mobilize local communities to develop and implement impactful solutions. American Graduate brings an important new element to the battle--community-specific and community-targeted awareness raising. Multimedia Production extends community conversations via podcasts, webcasts, and broadcasts, as well as social media and web-based content. Check out all of our video here and our audio productions here. In-Depth Radio Coverage – every day, our radio news team is deticated to extensivley covering the latest news stories related to education. WFYI also dedicates episodes of its popular public affairs radio program No Limits to American Graduate issues, including bullying, school choice, the recruitment of school principals, early childhood education, and much more. These episodes are all available online here. Harshman Magnet Middle School is WFYI’s partner school; nearly every staff member has volunteered with the school in some capacity. Staff members have participated in enrichment activities, book clubs, a food pantry and more. The relationship between Harshman and WFYI will continue to be meaningful and long-term. Community Partnerships guide our American Graduate work, including relationships with leaders from many community organizations. This exemplifies how partnerships can bolster and strengthen a community initiative. WFYI and American Graduate have engaged Indy in various special events, including a communications study trip for 150 fifth graders, our Conversations about Education series at the Indianapolis Public Library, a “Kindergarten Roundup” with the United Way and Indianapolis Public Schools, and the Public Policy Summit on School & Community Partnerships.